We just hit our first official "snag" with the insurance company. As it turns out, while MCV is considered an in-network provider for all of Charlotte's other medical needs, it is not considered an in-network provider for her transplant services. 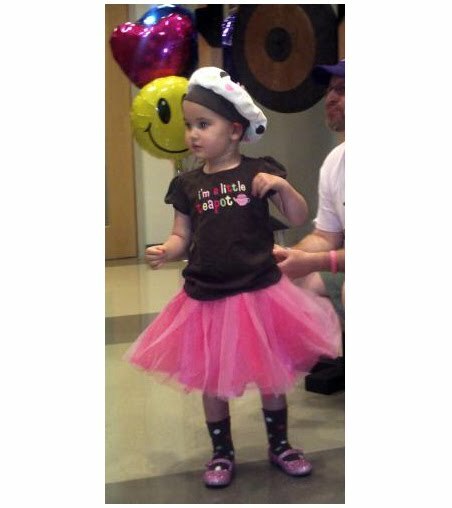 That includes both the collection of her stem cells as well as the stem cell transplants. The closest in-network provider is DUKE. What this means now is that Dr. Khan will have to write a referral to Duke for the stem cell "stuff" and we will probably have to go to Duke for anything related to the stem cells. As far as we can tell, all of her chemo,etc. will still be handled at MCV. Don't know how this might change the timeline of things, though. I have nothing against Duke as I know they have a wonderful reputation and I know we will be well-cared for when we go there for that part of the process, but uprooting us from our home to go for a treatment that can very easily be provided in our hometown by QUALITY professionals simply because the insurance company deems it so seems a little RIDICULOUS. 1. Why would MCV NOT be considered an in-network hospital for her transplant services? One of the leading hospitals in the country AND Richmond is home to UNOS...one of the leaders in coordinating transplants. That's just craziness. Johns Hopkins wasn't on the list as well...wonder what it takes to get on the "list"
2. Why should it matter to an insurance company whether they have "in-network" or "out of network" providers? It seems like they only care about getting paid anyway. I would think MCV would pay them just as easily as Duke. 3. Why should any of this even matter? My kid has cancer and she needs treatment. I paid for insurance that would provide her with a) wellness care to keep her healthy and b) a level of care that will provide for her if (God forbid) she is ever extremely sick. Which she IS. I thought that was what insurance was for. It drives me crazy that health care is considered a privilege and not a right in our society. Say what you will about health care policies in other countries, health care costs in general, etc. but NOBODY should be denied quality health care because they don't have a good job, the right kind of insurance, or "pre-existing" health issues. We would all probably be a healthier society in general if we didn't have to make choices between health care (whether it's paying for insurance or out-of-pocket expenses for care) and paying our electricity, mortgage, food, etc. I feel relatively blessed in this whole process that this is the first snag that we've come upon. What happens to those folks with NO insurance? Or lame insurance that only pays for certain things but not for others? The thing is, there shouldn't be "good" insurance or "not-as-good" insurance and you shouldn't have to make choices about the quality or location of your care because of what an insurance company says they will or won't provide. I understand that insurance rates are based on risk and health history and (blah blah blah) but in the grand scheme of things, we should all have the right to affordable, quality care. It kinda reminds me of the tax system. If you have enough money and can hire the right people, you can wade through all the loopholes and figure out how to minimize your tax liability. If you don't, then you just file your basic return, pay your basic taxes, and in the end you pay more of your share than someone with a higher income (because you don't know how to navigate the loopholes, deductions, credits, etc.). The insurance system is similar. If you have a great job that provides you with "better" insurance or if you have someone there to fight the insurance companies on every single denial they put forward, then you usually win and get what you want. But that takes time, energy, and $$. And many of us don't have that. I'm sure many of you would argue my points but I guarantee I haven't the energy....all I have to say is that if you are opposed to changes in our health care and insurance system as it stands, may you never be in our shoes. Or the shoes of many of the families whom we've met over the last few weeks. It certainly can change your perspective. If you are in the Hanover County area of Virginia, please buy a copy of the Hanover Herald-Progress for this week and then again next week. This week has an ad for the store and next week has an interview we did with Greg Glassner about Charlotte.